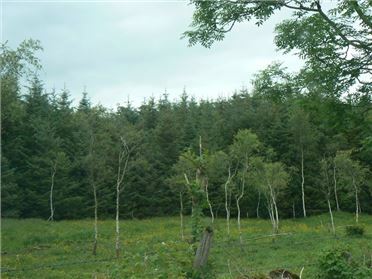 SPLENDID PARCEL OF LAND IN PICTURESQUE SETTING CIRCA 14 ACRES. Approached along a tree lined country avenue in sylvan setting. 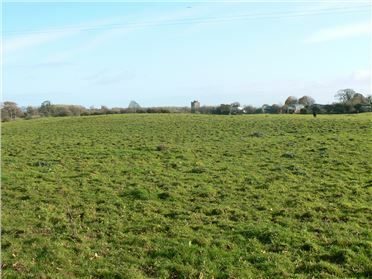 103 ACRES SITUATED APPROXIMATELY 2 MILES FROM ATHENRY TOWN ON THE CRAUGHWELL ROAD AND IN CLOSE PROXIMITY TO THE M6 GALWAY / DUBLIN MOTORWAY AND INTERCHANGE. EXCELLENT OPPORTUNITY TO ACQUIRE A FANTASTIC LARGE HOLDING IN SUCH A CONVENIENT WELL LOCATED AREA. 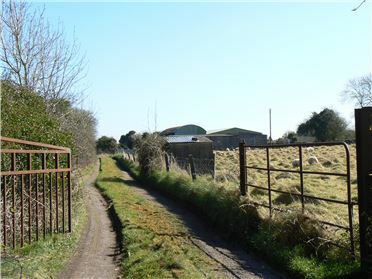 Attractive holding of good quality land in a very central location between Athenry and Oranmore and only 11 miles Galway City Circa 54 acres of land Derrydonnell More Derrydonnell, Oranmore Co. Galway LOCATION: The lands are situated on the Galway side of Athenry, 5 miles Oranmore and Clarinbridge, 3 miles Athenry and only 11 miles Galway city in a fantastic location. The lands have their entire northern boundary adjoining the Galway / Dublin Railway Line where it meets the local road at Derrydonnell Bridge. 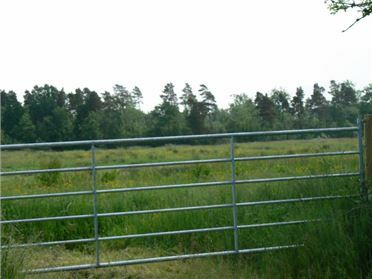 The property is situated just off the main Athenry / Galway Road on the link road connecting the Athenry / Galway Road to the Galway / Dublin N6 route. 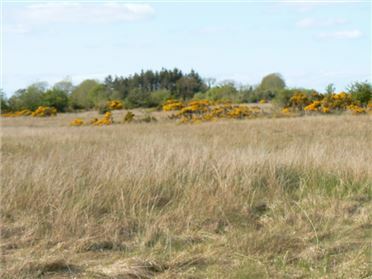 The lands are very well located approximately 3 miles from Athenry Town Centre and 2.5 miles to the new roundabout at Newford which allows access onto the M6 Galway to East Ballinasloe Motorway and M17/M18 Tuam-Gort-Limerick Motorway. DESCRIPTION: The above lands are contained in Folio 10026 County Galway. 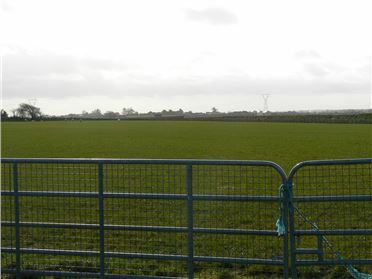 The lands are situated in the townland of Derrydonnell More, Oranmore, Athenry, Co. Galway. 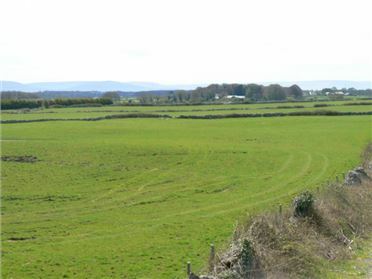 The lands comprise circa 21.862 ha /54 Acres we understand and are flanked on its northern boundary by the Galway / Dublin Railway Line and on its eastern and southern boundaries by the L3104 with good road frontage onto same. The lands are of good agricultural quality and are laid out in well-defined fields and contain a silage pit. The lands have natural stone boundary walls and are good open farmlands, part overgrown towards the front which is suitable for shelter. SERVICES: Water supply, ESB connection to hut. 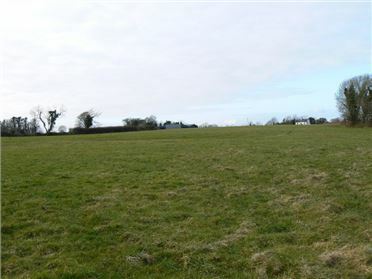 AMV:	€10,000 per acre VIEWINGS: Viewings are strictly by appointment with Auctioneers who are sole selling Agents TITLE: Freehold Vacant possession on closing of sale SOLICITORS WITH CARRIAGE OF SALE: Mr Donal Quinn, Donal Quinn Solicitors, Cross Street, Athenry, Co. Galway. Phone: 091-844008 DIRECTIONS: From Athenry take the old Galway road towards Derrydonnell (R348) and continue about 2.5 miles and take left hand turn for Clarinbridge (turn off for Mother Hubbards / Green Briar) on the L3104. Continue up this road going over the railway bridge and the lands start immediately after the railway bridge on the right hand side and continue along the local road with significant road frontage (the railway line forms the boundary to the rear of the land). Coming from Galway / Oranmore - take the old Dublin road out of Oranmore and take left hand turn at Derrydonnell cross for Athenry, continue towards Athenry and take right hand turn for Clarinbridge (L3104). Continue up this road going over the railway bridge and the lands start immediately after the railway bridge on the right hand side and continue along the local road with significant road frontage. SIGNS: Our signs are on the property and directional signs.